Numerous clothing boutiques, book stores, and cafes are nearby, and a number of Internet Cafes are conveniently located within a five or ten minute walk from the school.The Scuola Leonardo da Vinci occupies the first floor of a palazzo in the tranquil via del Paradiso. In front are the administrative offices, where students will find the friendly staff are well equipped to answer questions and offer advice to make their stay in Siena as pleasurable as possible. In the back, a large sun terrace provides the perfect ambience for socializing, cafe-sipping and conversing in la bella lingua. The Intensive Course consists of 20 lessons a week. Classes are held from Monday through Friday in groups of no more than ten. Each class is conducted by a qualified, experienced teacher whose native language is Italian. To ensure placement in the most appropriate class level, students with some knowledge of Italian take a short written and oral placement test on their first day at the Scuola. Lessons cover grammar and vocabulary but also emphasize reading, speaking, writing and conversation. All students are encouraged to speak from their very first day. To facilitate communication and create a better understanding of the Italian culture, a wide variety of topics and study materials is presented. These may range from films, songs, magazines and news articles, to selections from poetry, plays and literature. The Exam Preparation Course is geared for students who would like to earn an internationally recognized certification that attests to their level of fluency in Italian. The AIL Language Diploma: There are a variety of Language Diplomas that are offered in Italian language. One example is the AIL (“Accademia Italiana di lingua”) that is affiliated with the Italian Academy of Languages. 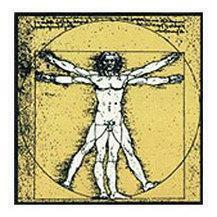 The Scuola Leonardo da Vinci is a founding member of AIL, and an official testing center for the AIL diploma. The preparation courses begin one month before the exam dates and consist of four lessons of grammar review and conversation plus 2 lessons of test-taking strategies and examination drills.